Angela Ford and David Jenkins are a pair of vigilantes. The Sydney duo don’t fight crime per se, but they do fight the good fight of producing great music. 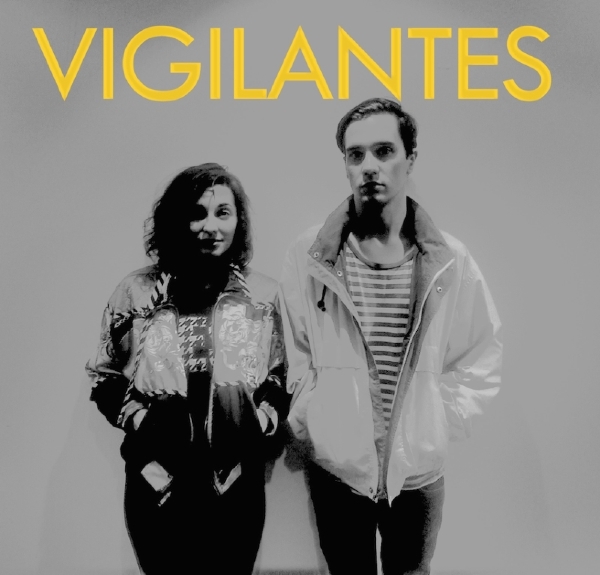 Vigilantes have created an immaculate and imaginative tune with ‘Circles’ – a glossy, New Wave-y melody built on danceable beats. The duo have also recently put forth a brand new cut, creatively entitled, ‘<3’. Believe me, these songs ooze style. ‘Circles’ seems to lament or grudgingly accept the cyclical nature of things. Recurring mantras and looping synth progressions help to round out this feeling. Angela’s vocals are particularly special, moving across angelic peaks from chorus to verse. ‘<3’ has a bit more pop and bounce. This one focuses heavily on David’s sculpted vocal tones; smooth, yet not over the top. He sings about devotion, eternal love and other happy things but without sounding cheesy – no mean feat when you specialise in effervescent electro-pop. Both Angela and David are accomplished musicians, having previously performed with Bertie Blackman and Kirin J Callinan. I’ve been told by the pair that the creative process is rarely linear, but things manage to come together with ideas and fragments recorded over time. If ‘Circles’ is any indication, I’d say the process works perfectly. No EP or album is planned at this stage, but expect more singles that will assuredly help spread the word of this daring duo.